The Old Foodie: Womens’ Cakes. Modern girls can go to online dating services to choose a partner - which is probably as much a lottery as the old-fashioned method of choice-by-parent – but modern girls don’t seem to need or want to ‘forsee-by-ritual’ the man of their ultimate destiny. 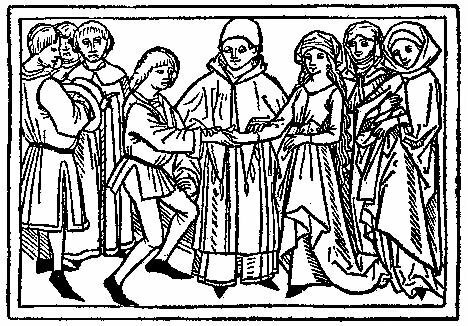 In older times it was quite the thing to participate in divination rituals, probably for that precise reason - that the girls had no choice of who to marry, so forewarned was forearmed – or hopefully, happily reassured. At the very least they provided an opportunity for a girly sleep-over party. In olden times, if the previous evening’s rituals had gone well, a girl should have woken up today having dreamt of her future husband, for today is St. Faith’s day. According to legend, St.Faith was martyred in the third century by being baked on a gridiron and then beheaded. The fact that she was beautiful and virginal apparently qualified her to intervene on the part of young women, and her death by baking determined that the method of divination would be by cake. Of course, as in most rituals as well as lotteries, getting the numbers right is essential, so with this understanding we come to the details of the routine. And be my vision chaste and true. The ring would be hung from the bed-head, and the girls would go to sleep, perchance to dream of the man of their dreams. And dreams always come true, don’t they? 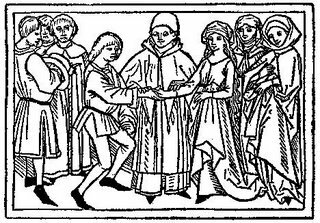 If perchance the sleep was dreamless, or the dreamed-one unsuitable, there were other opportunities for divinations of love and marriage, including St. Agnes Eve, St. David’s Day, St. Anne’s Eve, and New Years Eve. It is hardly surprising that so many days were needed; it must have been a very anxiety-provoking time in a girl’s life, for in the absence of many other career options, if she did not become a wife she remained a family liability for ever. Career options were not totally absent of course. A couple of the alternative jobs that were available for women are the inspiration for today’s recipe choices. Pets de putain (Farts of a Whore).